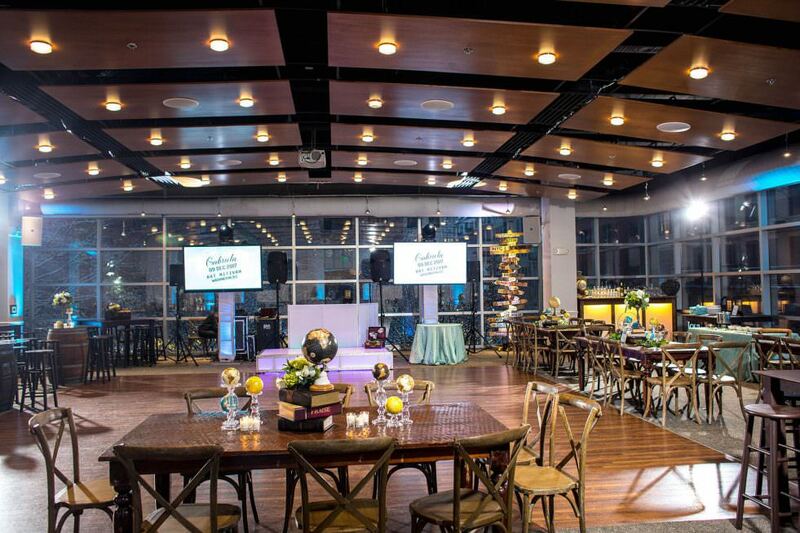 This globe-trotting family with roots in Italy and Israel chose an around the world theme for their daughter’s Bat Mitzvah at VisArts this past December. 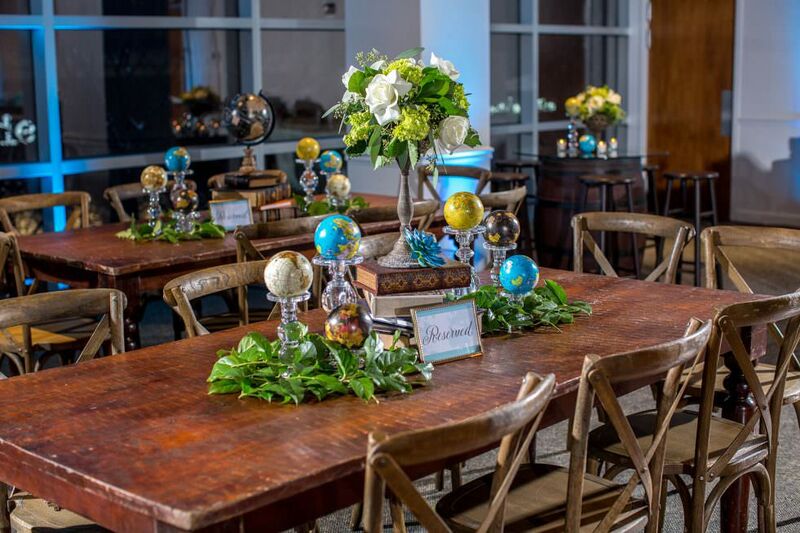 Dark wood farm tables, barrel tables and centerpieces featuring vintage globes gave the space a sophisticated old world European feel. 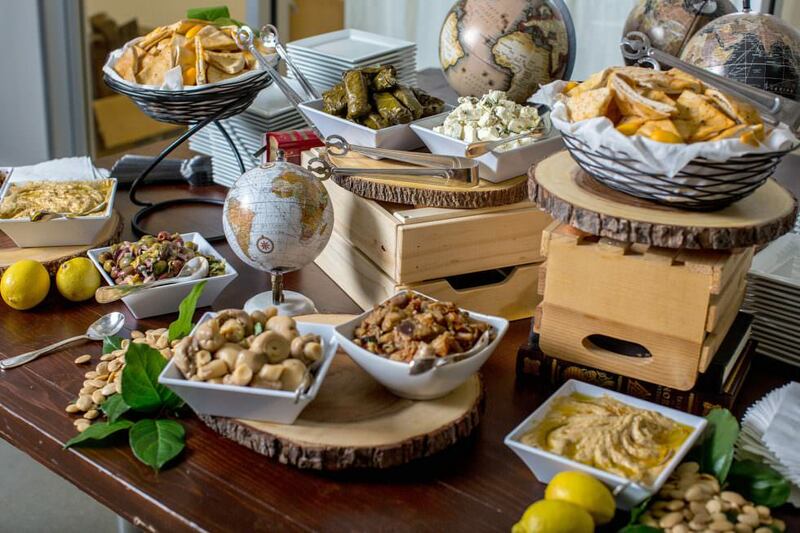 The International menu reflected the family’s favorite cuisines with dinner stations featuring Mediterranean, South American, Italian, and of course, American favorites. 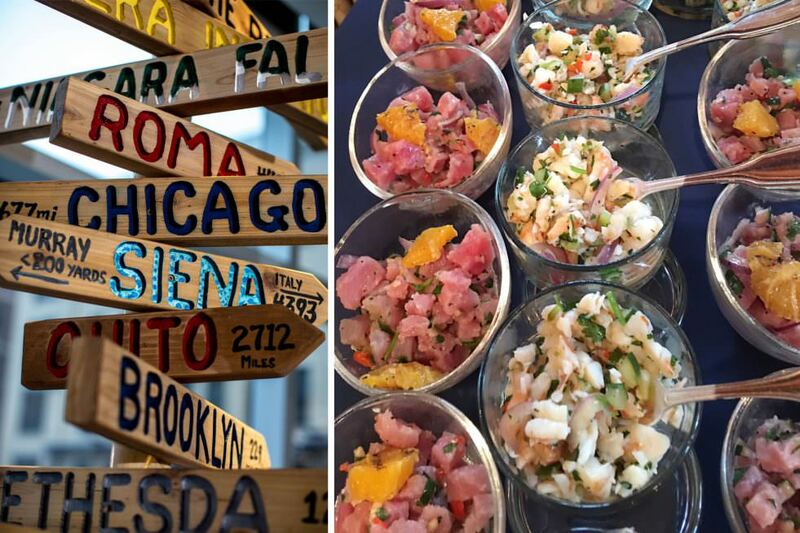 Two types of Ceviche (fresh tuna marinated with lemon juice, pickled red onion and cucumber with grilled orange piece and cod fish marinated in citrus juices with cucumber and jalapeno and mango jicama slaw) were the hit of the South American Station. Over at the Italian Station, Catering by Seasons Executive Chef Kyle Vermuelen served up made to order pasta dishes with pasta flown in from the family’s pasta company on the Amalfi Coast. 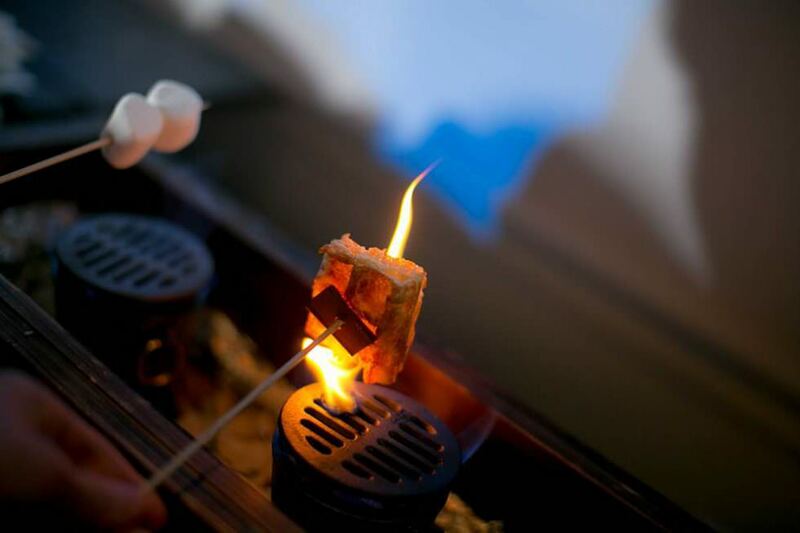 Dessert was a classic American favorite – an over the top S’mores Station with honey and chocolate grahams and waffle pieces, white and dark chocolate, York Peppermint Patties, caramel squares and Reeses Peanut Butter Cups. Catering by Seasons loved working with this very special family and all of the vendors who worked together to create this fabulous event!